The concept of cropped sweaters seems a little counterintuitive, especially when you wear them with the intention of staying warm this fall. However, if there’s a specific time where this particular style just works, it’s the transitional period between summer and fall. The weather may be cooling down to a point where we’re no longer sweating through our favorite pieces, but it’s still a little too warm to pile on the alpaca and cashmere knits. So, as you face this in-between weather head-on, this celebrity-approved sweater will be the perfect piece to start with. And while they’re already a sensible must-have for this time of year, they are also extremely versatile. Style these cropped sweaters with your favorite pair of high-waisted jeans and a pair of sneakers for your everyday errands, or with a chic slip skirt the next time you’re headed out with your S.O. for date night. Once it gets a little colder, layer them over your favorite fall essentials, and you have yourself yet another foolproof outfit for the books. Now, keep reading to shop our favorite cropped sweaters that you’ll wear well into winter. This will look so good with a pair of jeans. We'll never get enough leopard print. This is such a cool sweater. 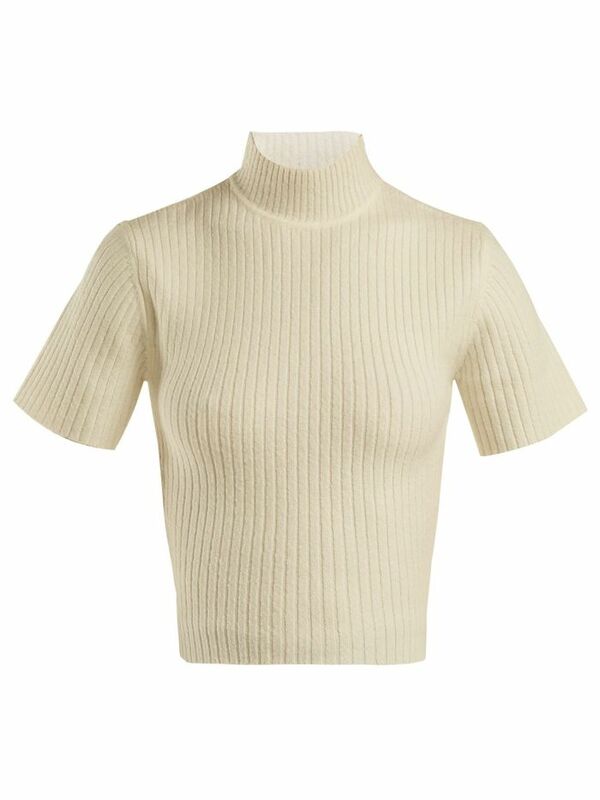 Leave it to The Row to create the most beautiful and minimal turtleneck. This will be one of your favorite sweaters this fall. We love this vibrant color. This print is a classic. Bring the '80s back with these. This will look so good with a pair of high-waisted flares. This color is ideal for fall. Now, see how your favorite celebs are sporting this trend.